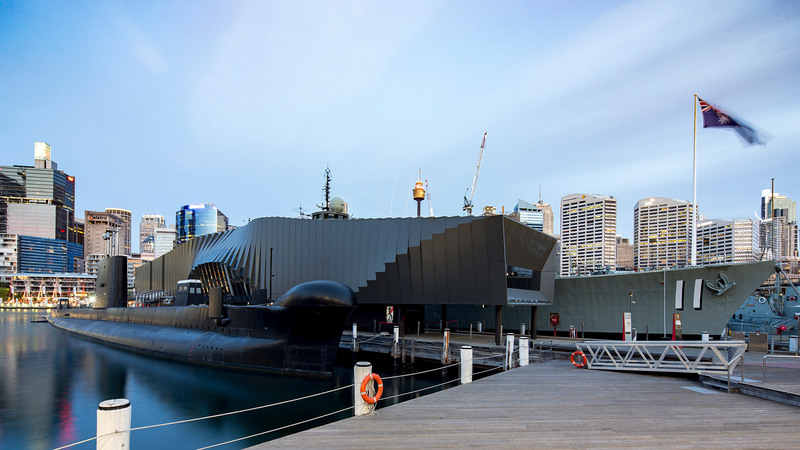 Anchored to the South wharf of Sydney’s Darling Harbour, The Australian National Maritime Museum’s Waterfront Pavilion was built to mark the centenary of World War I and commemorate 100 years of service by the Royal Australian Navy. 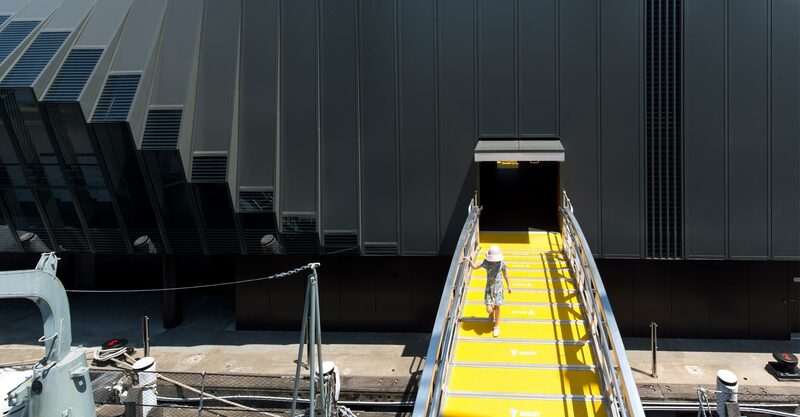 The purpose of this museum pavilion building is to create a transitional experience for visitors from the waterfront dock onto the two navel vessels HMAS Vampire and HMAS Onslow. 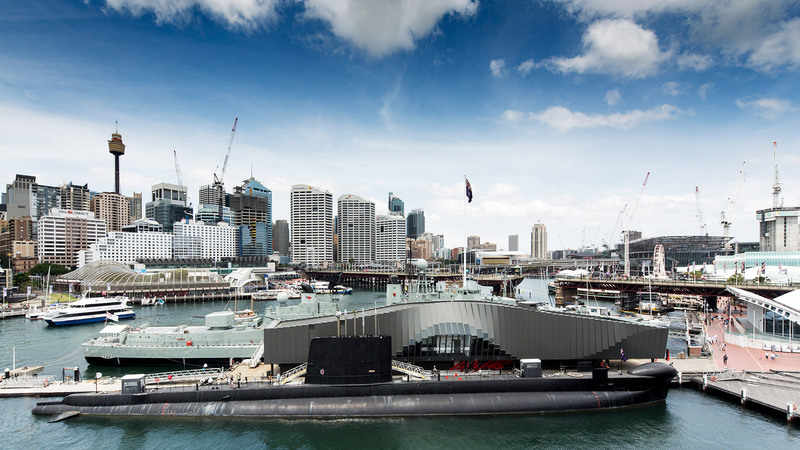 Built on a narrow existing wharf structure and to a tight budget the question was what should be the character of such a ‘building’ over the water of Darling Harbour and fitting tightly between two of the most significant Australian navel vessels. 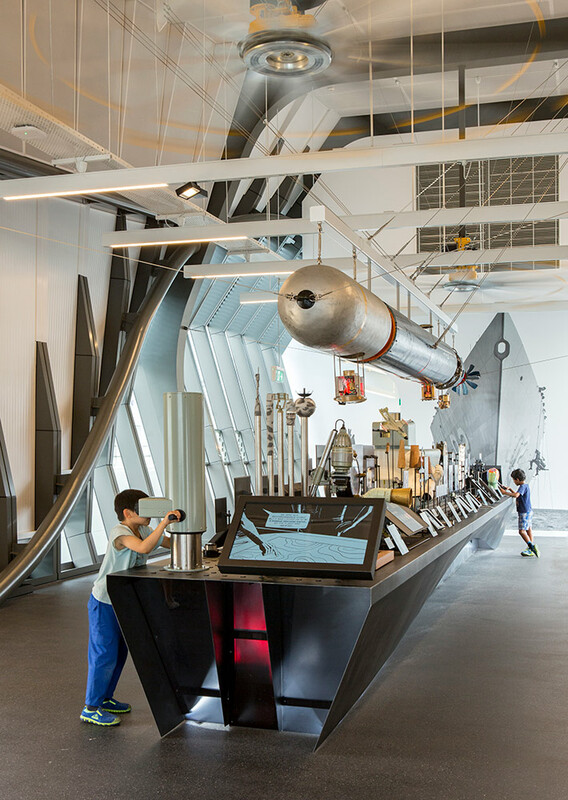 The design seeks to bring the narratives of war to life and significantly enliven the visitors relationship with the vessels, waterfront and broader museum precinct. 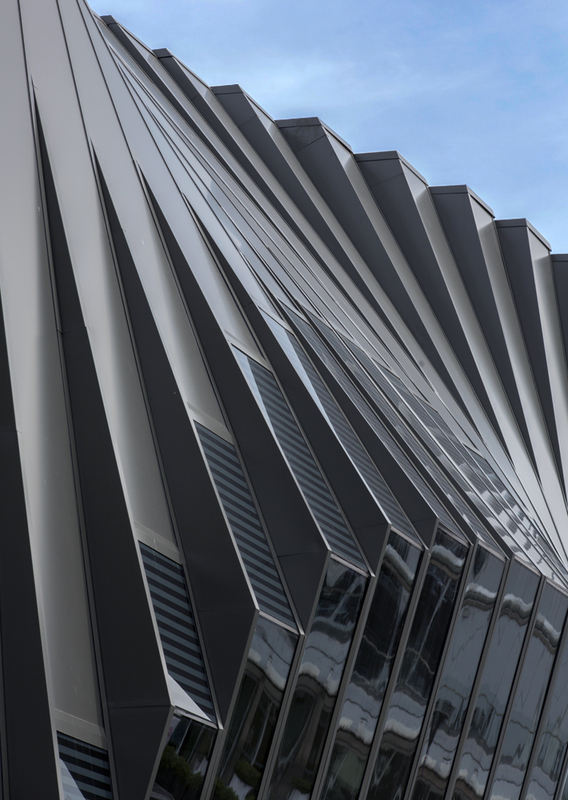 The articulated facade of the pavilion compliments the scale, form, colour of the vessels and the broader marine environment. 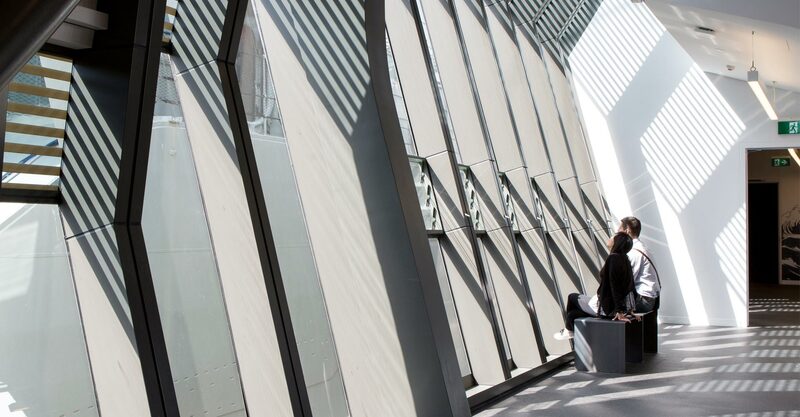 The Waterfront Pavilion offers a dynamic, immersive experience and is an elegant, integrated addition to the Harbour precinct. The suspended tube ‘hovering’ over the wharf, creates space at the wharf level to move around and experience the edge where the vessels meet the water. 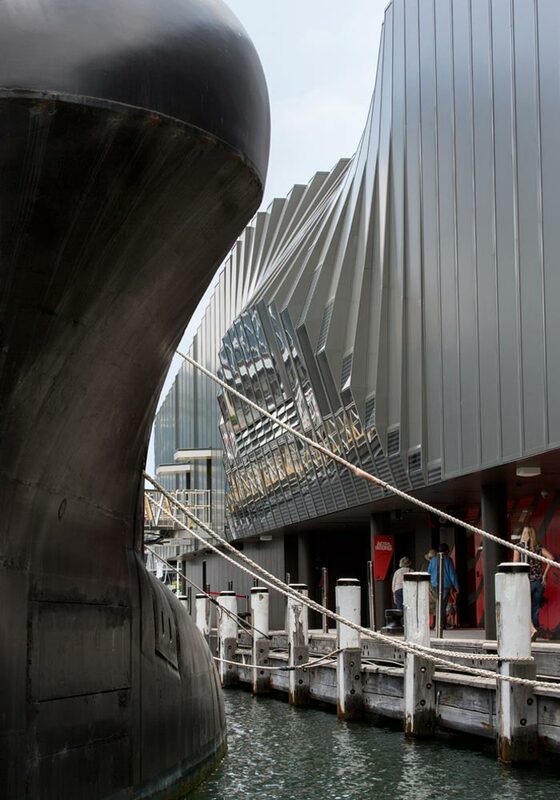 The tube appears to ‘float’ in the air between the vessels floating in the water.This tube was then formally shaped and profiled in relation to the natural movement of visitors from the dockside up into the building, through the portals and gangways onto the vessels.  The pavilion is further shaped by the primary forms of the adjacent vessels themselves, the conning tower of the submarine and the bridge of the destroyer creating central formal distortions. 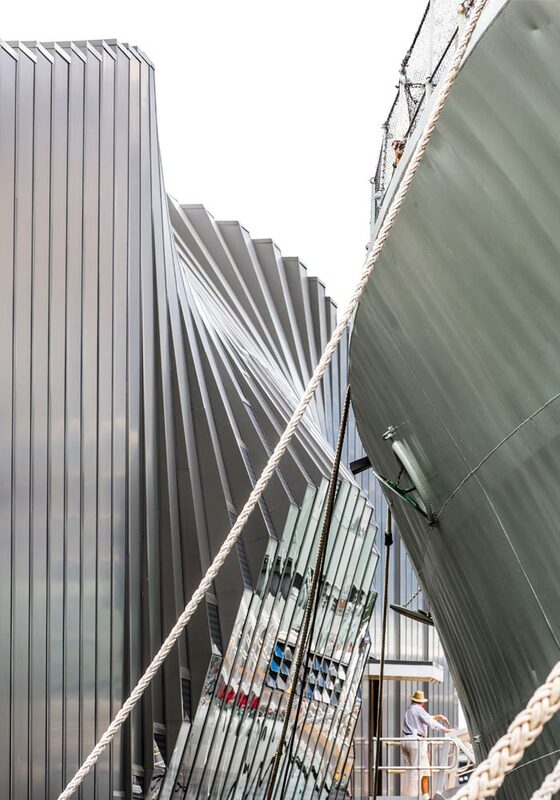 These distortions are then transformed into large glazed portals that frame lateral views onto the vessels. 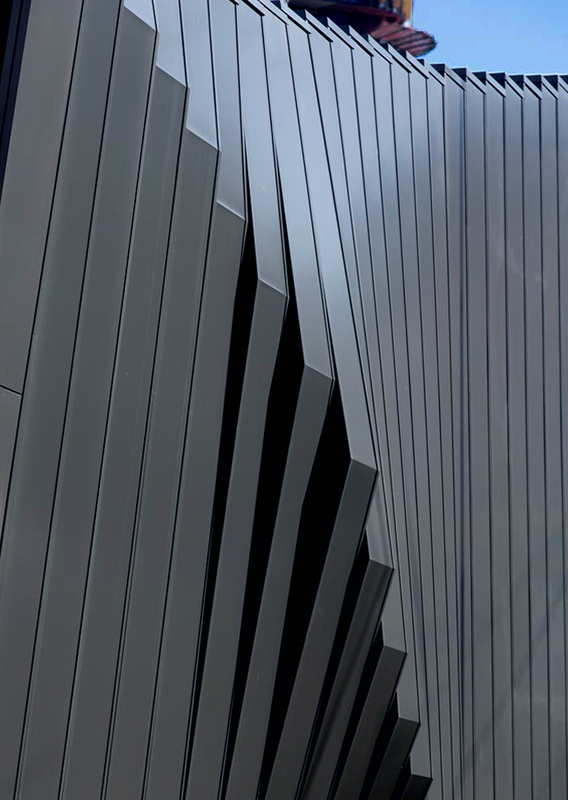 The interior of the pavilion reflects elements of the interior of the navel vessels; hardy, rough and adaptable. 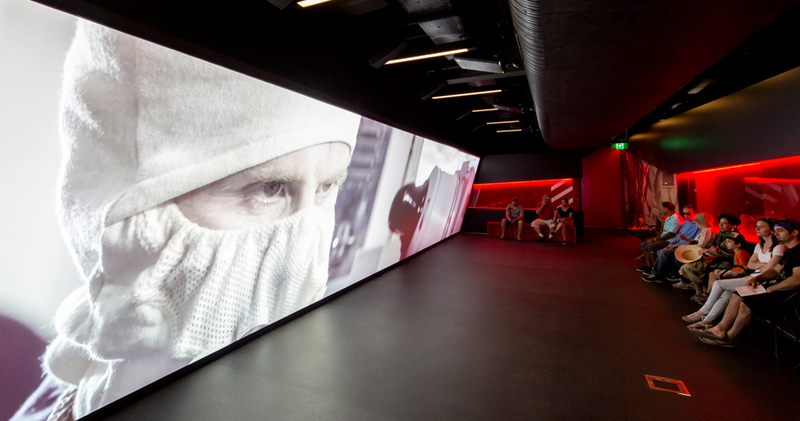 Sheet vinyl floors, insulated aluminium walls and industrial suspended fans. 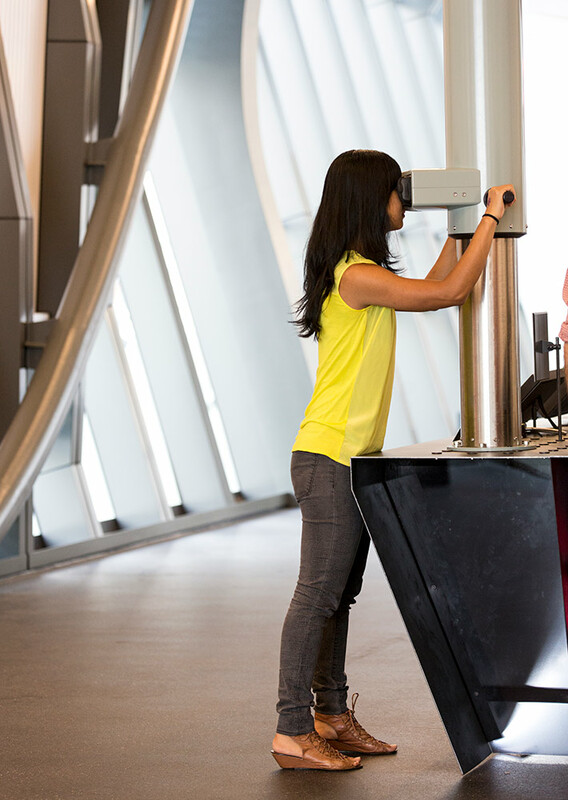 A lack of preciousness invites future change, adaptation and evolution for future curators and visitors.